More suds! Less mess! 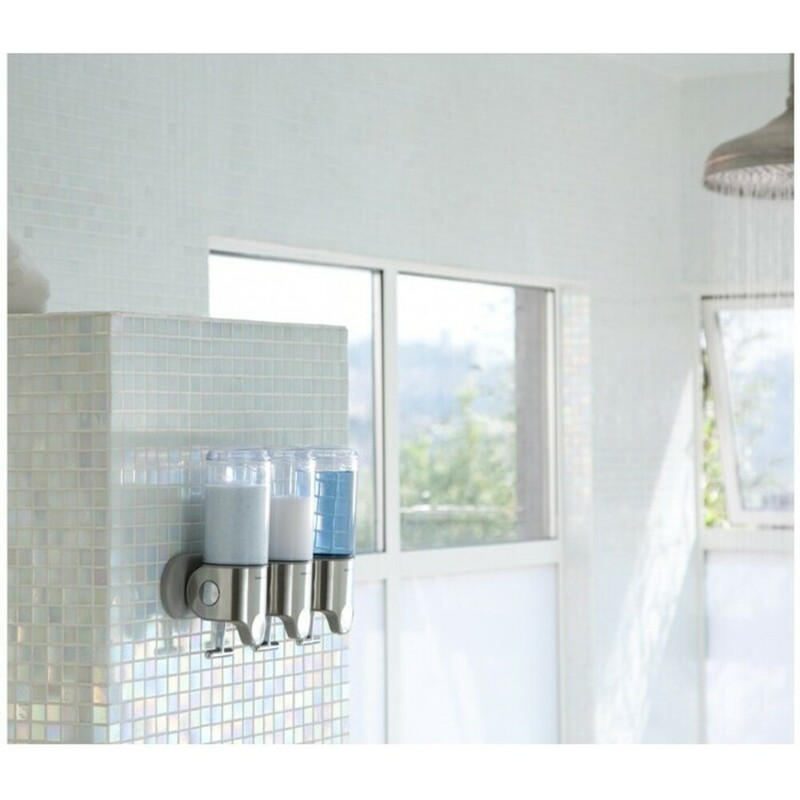 This Triple Wall Mount Pump Dispenser eliminates unsightly bottle clutter and keeps amenities within reach. 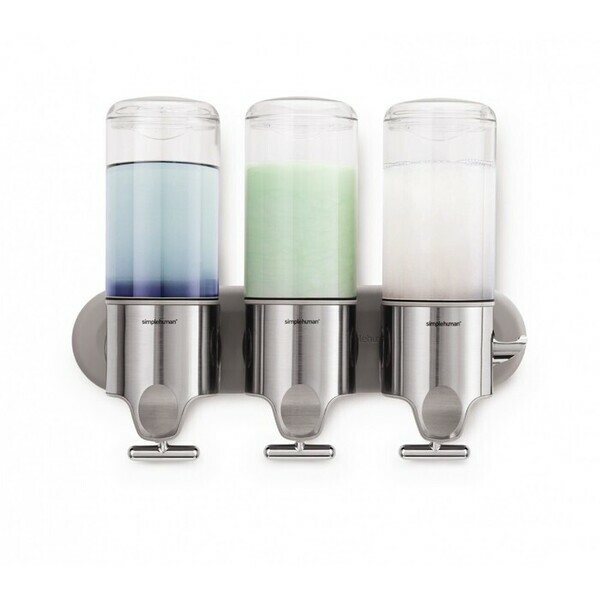 It features a T-bar lever that makes it easy to dispense just the right amount of soap, shampoo, or conditioner and a wide opening that makes refills fast, easy, and neat. Convenient storage hooks hold a razor, loofah, or other accessories. Installs easily with adhesive strips and silicone glue (included). No drilling required. Durable, long-lasting materials won't rust or discolor. 15 oz. per dispenser. No rough stuff please. Works beautifully with soaps and shampoos, but avoid exfoliants, moisture beads, or granular scrubs.